Just use a device that tracks the position of the head. A small head rotation/tilt device converts to a great head movement of the virtual character in the game, typically the pilot's. A pioneer with the largest experience with similar devices is the company NaturalPoint, Inc.. Its TrackIR uses an optical sensor similar to the webcam, which tracks from the top of the monitor the location of several points on the player's head/hat/headphones. This solution works great, keeps track of the position of the head in all three dimensions (thus allows you e.g.. zoom view in the monitor), only its price price is somewhat higher. A more advanced solution is Tobii Eye Tracker; it tracks even position of the eyes. To DIY guys offers a cheaper solution which, when they can live without zooming function, completely replace commercial systems. 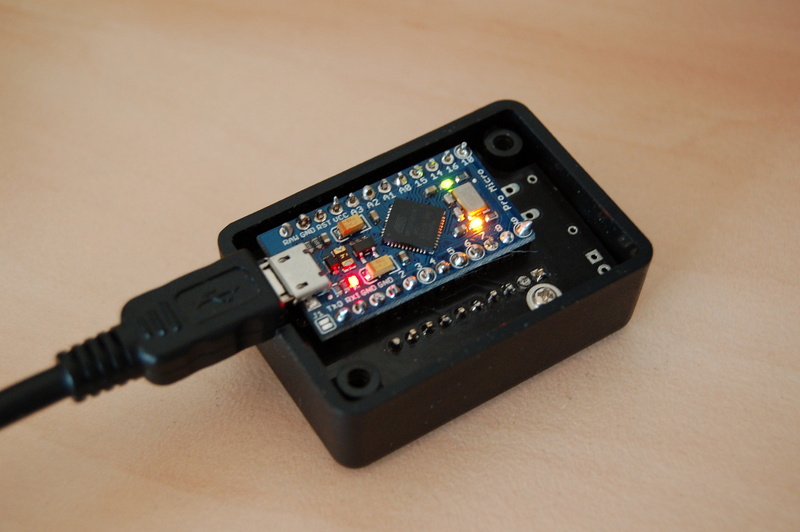 EDTracker is originally an “open source” project utilising a gyroscope with magnetometer/without it controlled through SparkFun's Pro Micro (CPU ATmega32U4). 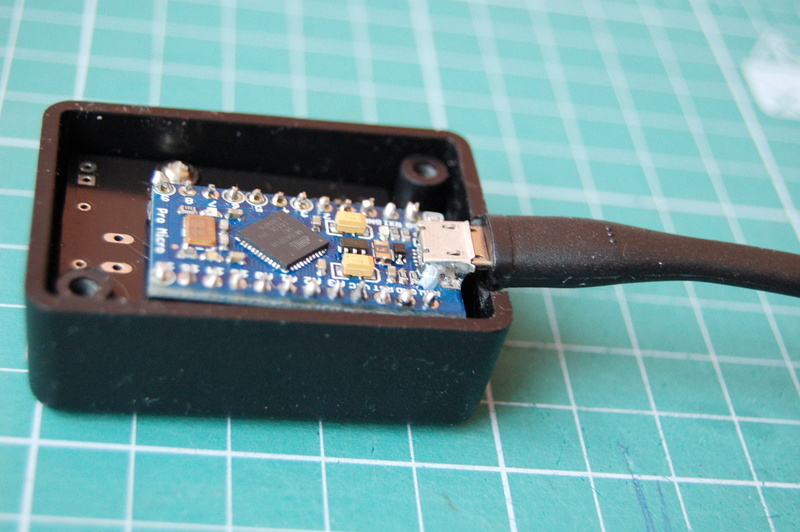 Complete device in-the-box (with gyroscope without magnetometer) you can buy as-is but when you don't get scared with some soldering, you can build improved version oneself with DIY bundle with less than half the cost. 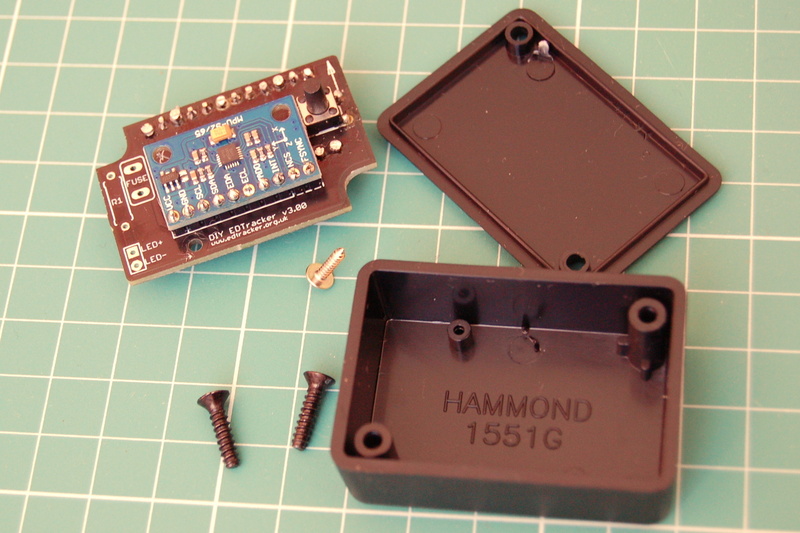 The entire making process is well documented in a discussion forum post on Hobby Components. 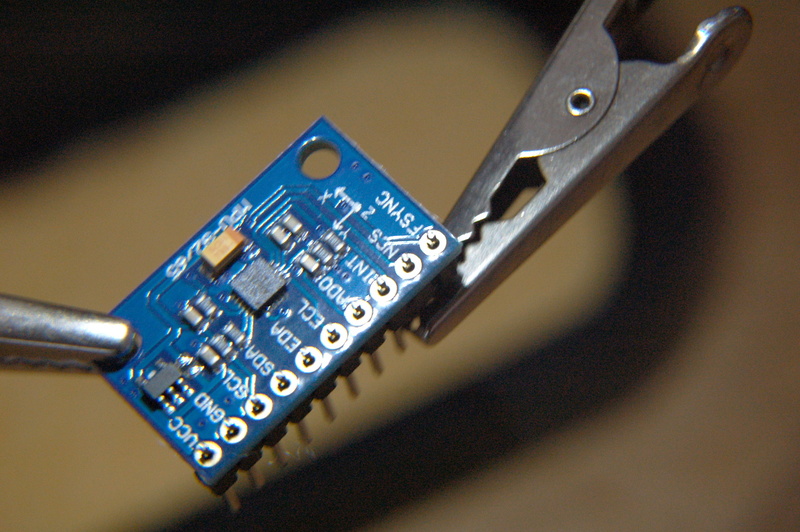 First solder together the switch, which resets the mainboard (4 solder joints). 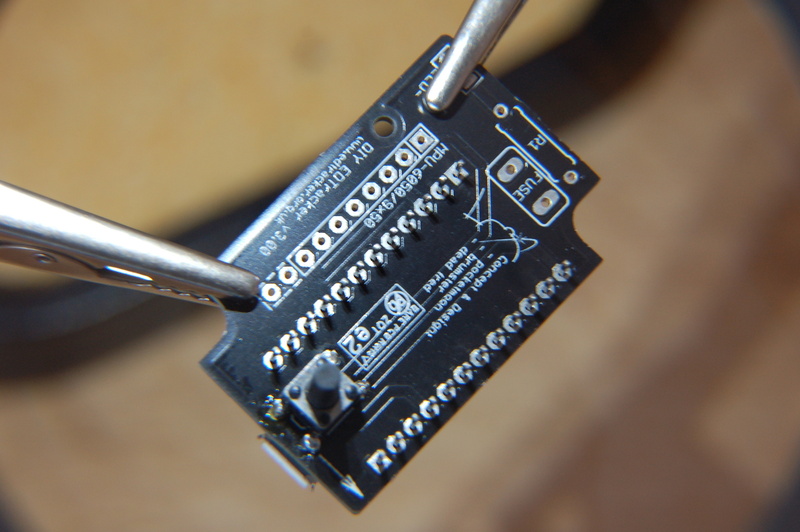 PCB joins with 2x12 pins with mainbord Pro Micro (48 solder joints). 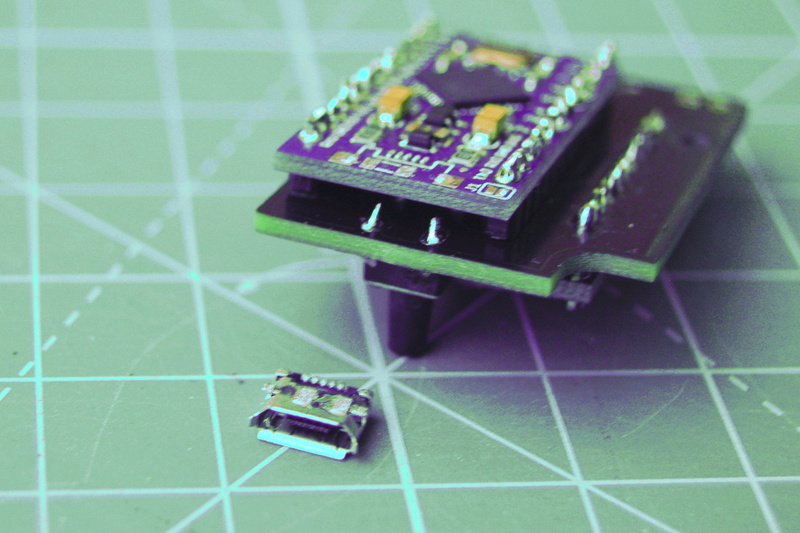 Gyroscope with magnetometer MPU-9250 you fix through 10 pins on the other side of the PCB (20 solder joints). Finished gizmo pass to the box. 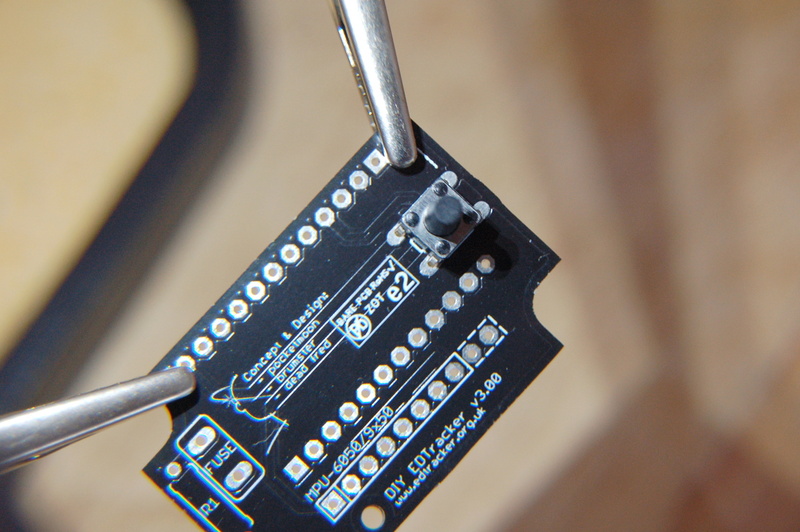 In the box provided you must cut off a hole for micro USB conector. Before is EDTracker connected with the PC you have to install the driver and graphical user interface of the EDTrackeru (GUI). After you connect the device and the PC with USB cable you get to know according to the LEDs wheter the device is all right. In game devices Control Panel you will find device called “EDTracker ED Tracker2”. 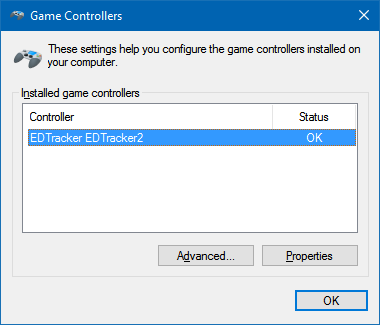 Before you verify its functionality as if it were a joystick or gamepad, it is necessary to inicialize EDTracker in the GUI (flash the firmware with button Flash, set orientation with buttons in section Tracker Config) and calibrate it. 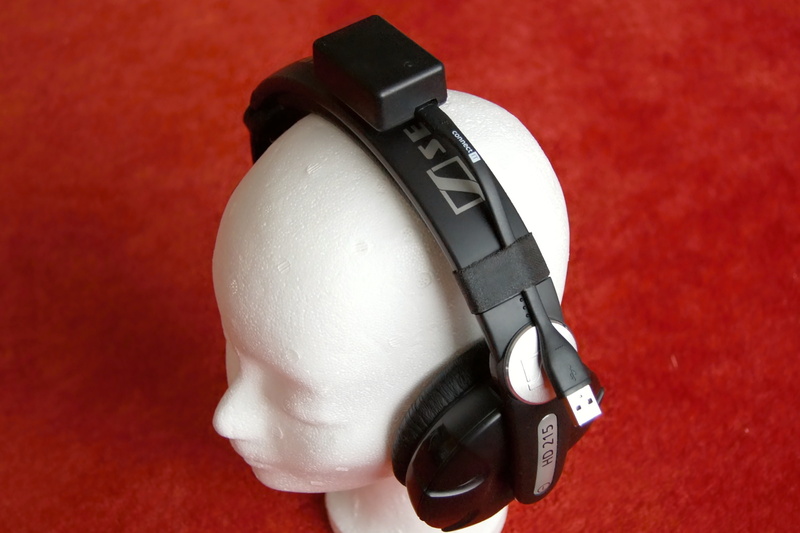 The box is handy to attach to the bridge of the headphones. Self-adhesive velcro tape proved to be useful. But connect device with 6ft USB cable micro USB–USB not been proved useful. Long cable causes disruptive vibrations (binding straps limits this). After a lapse of time the micro USB connector was broken. The device behaves essentially like the common joystick. 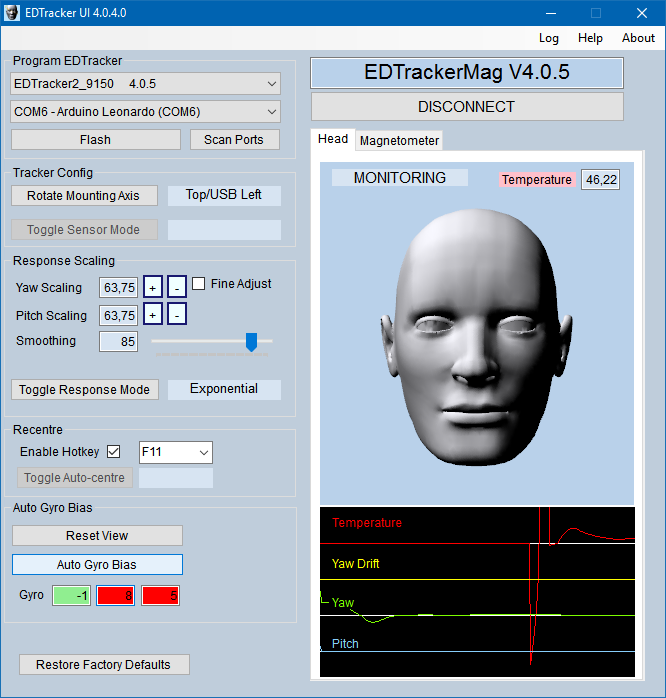 To simulate commercial devices or further adapt functions of EDTracker in some games you can use applications as opentrack (free) or FaceTrackNoIR (charged with fee).